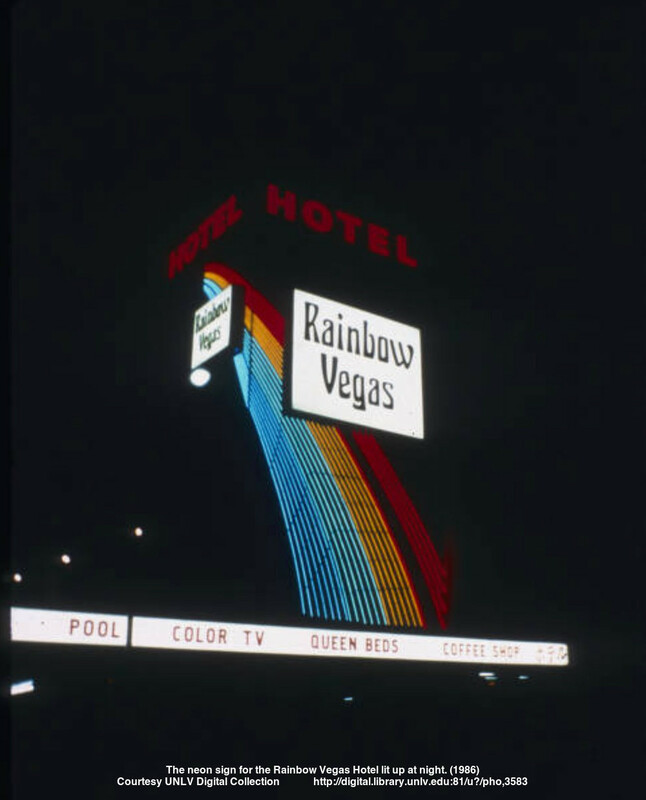 The Rainbow Vegas Casino was formerly the Las Vegas Casino. In 1998 the property was sold to the City of Las Vegas. There were no chips, just tokens, wooden nickel and there are some matches! Nearby was the Golden Rooster at Casino Center and Ogden from 1972 to 1974. If I find some collectibles to show it will get its own page!